On 23 Novembeк 2017, the Association of Industrial Parks and JSC "Special Economic Zones" have signed an official Cooperation Agreement. The agreement includes collaborative promotion of products and proposals for placing a production in investment communities of Russia and around the World. JBS «Special Economic Zones» and AIP plan mutual participation in investment events of both sides and implementing joint activities. Managing companies of industrial and production, port and technical innovation special economic zones in Russia will have an opportunity to take part in this work and get the support of the Association of industrial parks, based on membership. On 23 November 2017 the official Agreement on cooperation between Vnesheconombank's investment company VEB Capital and the Association of Industrial Parks was signed. The main goal of the cooperation is creation of industrial parks on the basis of assets managed by VEB Capital. 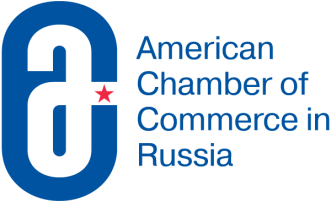 The Association of Industrial Parks is the official partner of the American Chamber of Commerce in Russia AmCham on the basis of the Collaboration agreement . The purpose of the cooperation is to attract the attention of American companies to facilities and services of the members of the Association: industrial parks, special economic zones, regional development corporations, consulting and other service companies. AmCham brings together more than 500 member companies. The Chamber represents the US business community in Russia with the aim of developing trade and economic relations and implementing joint investment projects. The agreement with KITA was another step in creating a partnership network in the international investment community. The goal of cooperation is to promote the interests of the Association's members in business communities of World key economies, which demonstrate a high level of interest in localization in Russia. The Korean International Trade Association was established in 1946 to develop Korean economic ties and today is the largest business association in Korea and units 71,000 companies. Since 2016 AIP together with KITA has been carrying out investment activities. Memorandum on cooperation in the field of support of Russian-Korean investment projects was signed on INNOPROM-2017. Belgian-Luxembourg Chamber of Commerce is AIP partner aimed at supporting Belgian, Luxembourg, and Russian projects, attracting and accompanying of investment projects of Belgian and Luxembourg business in Russia. The agreement was signed on the 10th of March, 2017. Belgium-Luxembourg Economic Union is a perspective investor in Russia. 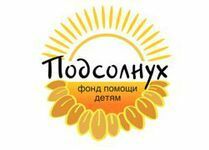 Cumulatively, Belgian and Luxembourg business has built 54 plants in Russia. Cooperation between AIP and a chamber of commerce is aimed at informing the Italian business about the opportunities of the Russian market, attracting and supporting investment projects in Russia as part of the market of the Eurasian Economic Union. The Association for the establishment of the Chamber of Commerce Italy-Eurasia is a private, non-profit making entity, which aims to assist and encourage economic cooperation between Italy and the Eurasian Economic Union (EEU). Founded in 2015, the Association is closely informed with all the developments in the EEU and has already built a network, which spans business, cultural, and academic organizations operating in the EEU countries. The Association’s mission is to assist and encourage the development of economic, commercial, technical, legal, scientific, and cultural cooperation between Italian and the EEU member states companies.